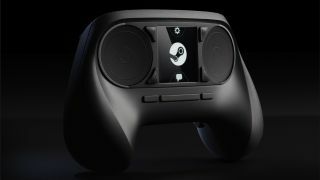 The Steam Machines and Steam OS release dates are still some way off, but Valve is keen to get gamers trialing certain aspects of its living room vision right now. So it is about to begin beta testing its streaming service, which will let users beam games from a PC to a Steam client in another room. Valve's kicking off the beta testing this year, and to be in with a shot of getting picked you need to go and sign up to this group over on the Steam Community. Steam Machines will only be able to play Linux games natively so you'll need to be able to stream your other games from a PC in order to play them on Valve's living room box. Going on what we've seen so far, it looks like we'll be able to alter the bandwidth and framerate of a stream but there are still plenty of questions about how things like Family Sharing will work with all of this. This all comes just as the PS4 is about to touch down with Vita remote play - and of course some time after the Wii U brought remote playing of its own, though not quite on the same scale.